Students will learn about study abroad research opportunities, including coursework, research and field trips, research projects, special scholarship and other funding opportunities. The session will cover two unique research focused programs: "Thailand: Inequality and the Environment" and "Athens: Global Health and Inequality." This program includes courses taught from two different disciplinary backgrounds, focusing on social inequality and environmental degradation. Students have the opportunity to collaborate with two award-winning professors to conduct original research that explores the power, privilege, and limitations of organizations to define environmental rights and responsibilities. Field trips to organizations in Cha Am, Bangkok, and Chiang Mai are an integral part of the experience. Offered during the regular summer session at the Webster Thailand campus, students take three courses for a total of seven credits and can satisfy four Global Citizenship Requirements (Physical and Natural World; Social Systems and Human Behavior; Ethical Reasoning, Oral Communication). In a rapidly-changing world, what are the correlates and consequences of inequality? How do social factors such as race, ethnicity, and socioeconomic status, as well as demographic shifts, including migration, contribute to inequality and how it is experienced by individuals? Because current levels of inequality represent a critical global challenge, new approaches to understanding this phenomenon are essential. Students in this program will enroll in courses that will explore the psychology of inequality by considering the biological, psychological, and sociocultural consequences of inequality, as well as the particular needs of special populations including refugees, immigrants, children, and families. Students will also have the opportunity to collaborate with an award-winning professor to conduct original research within this domain. 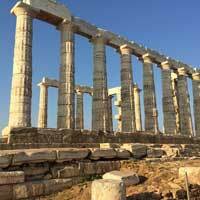 Additionally, field trips within Athens, Greece, and the surrounding areas will be integral to the experience.